Axl Rose has revealed that the band's former guitarist Slash was pretty loose with his bladder control. Speaking to fans in Paraguay in a video which you can see by scrolling down to the bottom of the page and clicking, Rose opens up about his backstage antics with Slash during their band's heyday in the '80s. 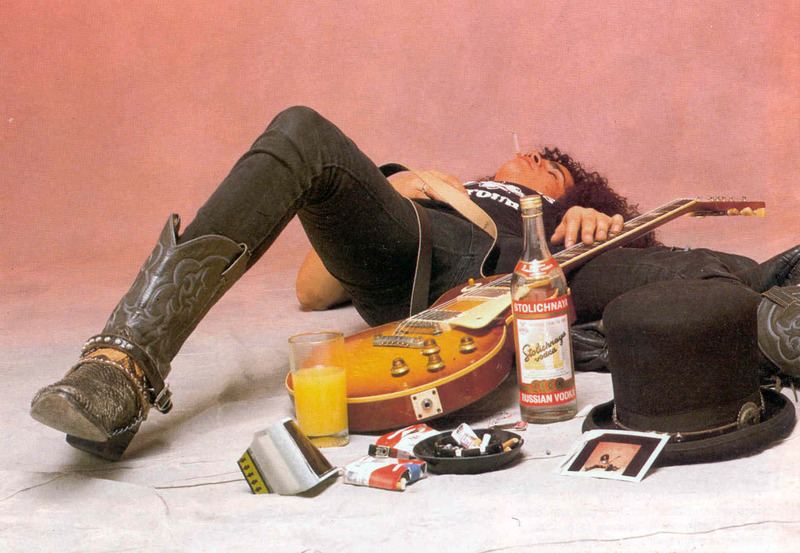 Apparently, Rose told fans, he would hang around his guitarist and whichever girl he had brought backstage with him that night until Slash got so drunk that he wet himself and the singer would then steal the girl from him. He says in the video of Slash's backstage habits: "It was great, because he would pass out and piss his pants, and then I would get to be with the girl. So I always followed Slash because I knew he would pass out and I would get the girl. The girl would be like, 'Ah, he just peed in my bed!' and I’d be like, 'It’s okay, it’s okay.' The next day he would just ignore it. He says it in his book, like once, but no – it happened every time, all the time." The pair haven't spoken for at least 10 years and this particular revelation is unlikely to bring a much talked about reunion of the original Guns N' Roses line-up any closer to happening.